UK Re-edit label Rio Edits, with the seventh volume of the collection, is ready to give us another of its extraordinary interpretations of classic disco and brazilian music. It was 1980 when George Duke released the wonderful “Brazilian Love Affair“, it was 2000 when Louie Vega was inspired by George in the making of “Elements of Life”, and now Rio Edits takes care of the affair and publishes it under its label. 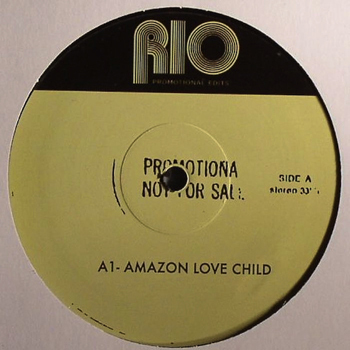 We got to say that “Brazilian Love Affair” is already a perfect track, where there’s no need of changing anything, so that’s why we find out that what has really changed is just the title: “Amazon Love Child“. On the other side of the vinyl, “Now You Got Yours“, a massive disco tune come to light once again, next to “Warrior”, a samba funk record and its guitar; warm brazilian vibes to end another volume. Rio Edits still confirms of being a label with such a great taste in music and choice, and these records are the clear evidence.